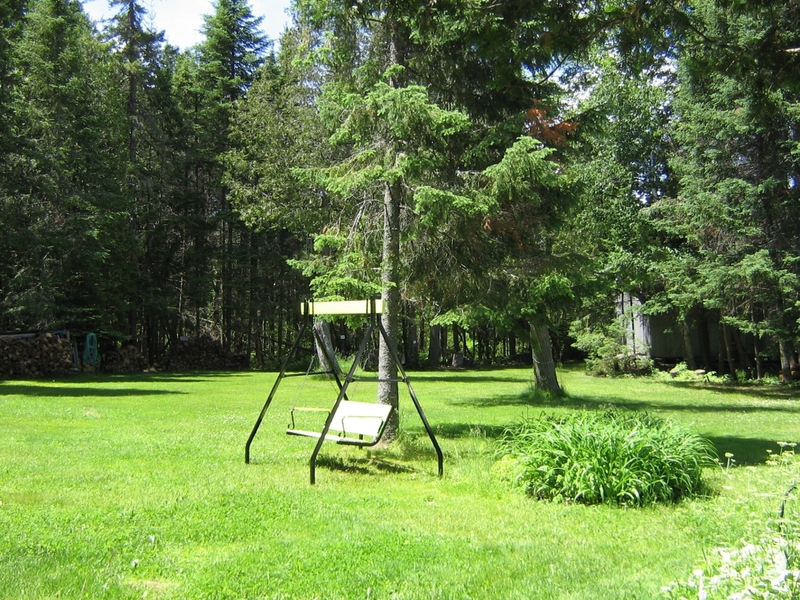 Cherryhill Cottage is situated on a large, level, grassy lot by the shores of peaceful Deer Lake. The property has lots of space for children to play, and the sandy beach and shallow entry into the lake add to its appeal. 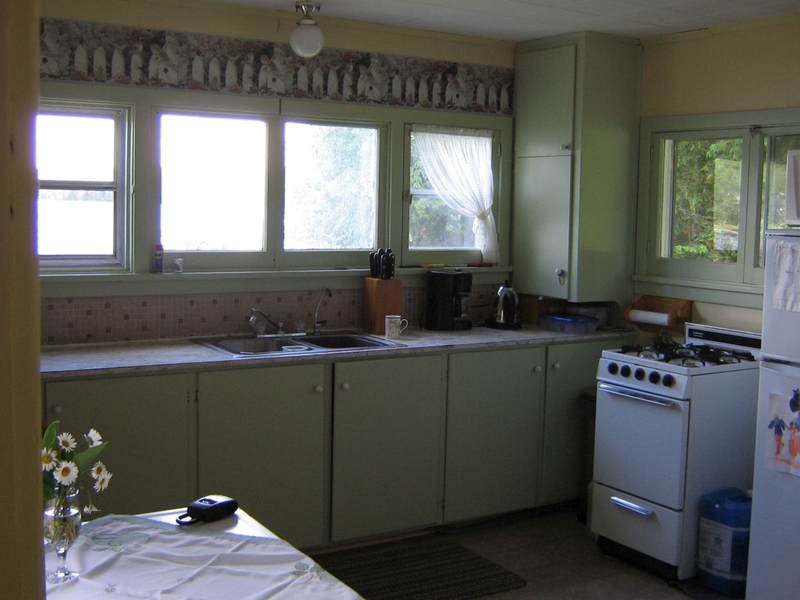 With all three bedrooms on the main level of the cottage, a large, living area with wonderful views through picture windows that face the lake, and a new bathroom renovation, this cottage offers comfort and ease of access. 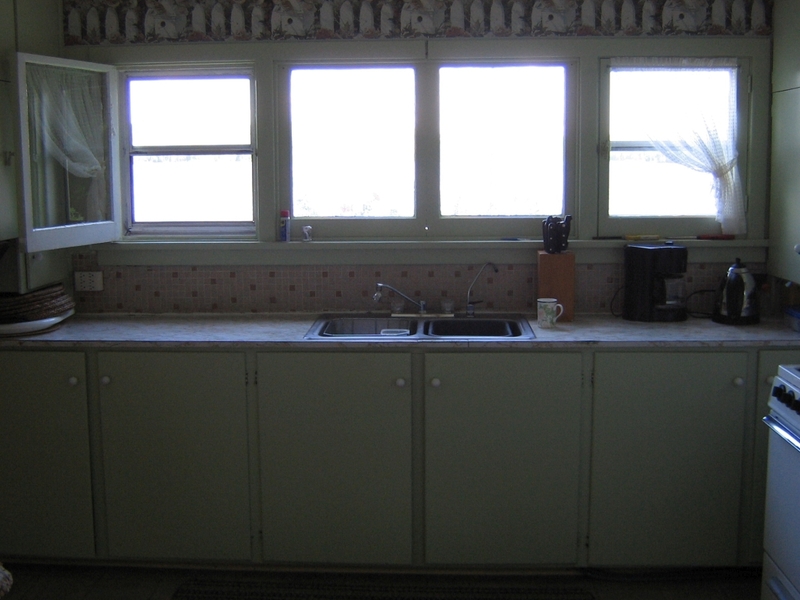 The large kitchen has windows that open to allow cooling breezes off the lake. 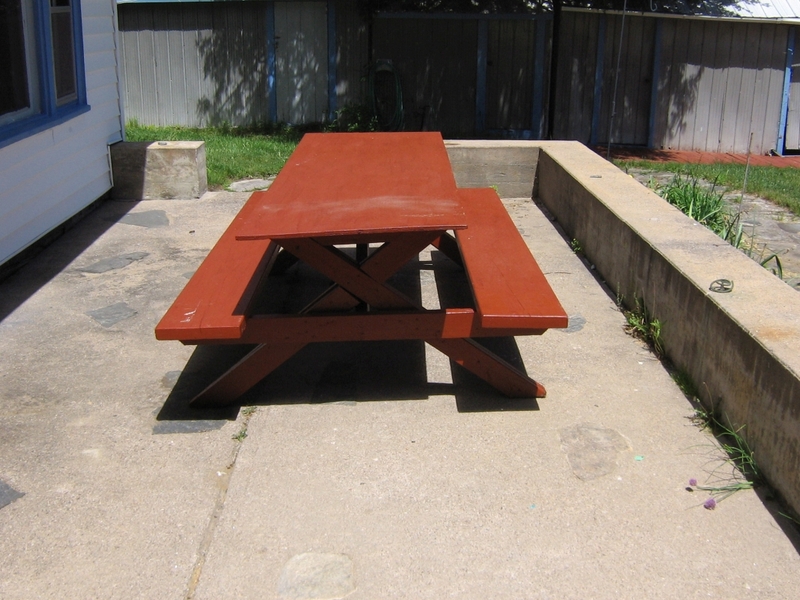 Here there is a small table for snacking or for food preparation. 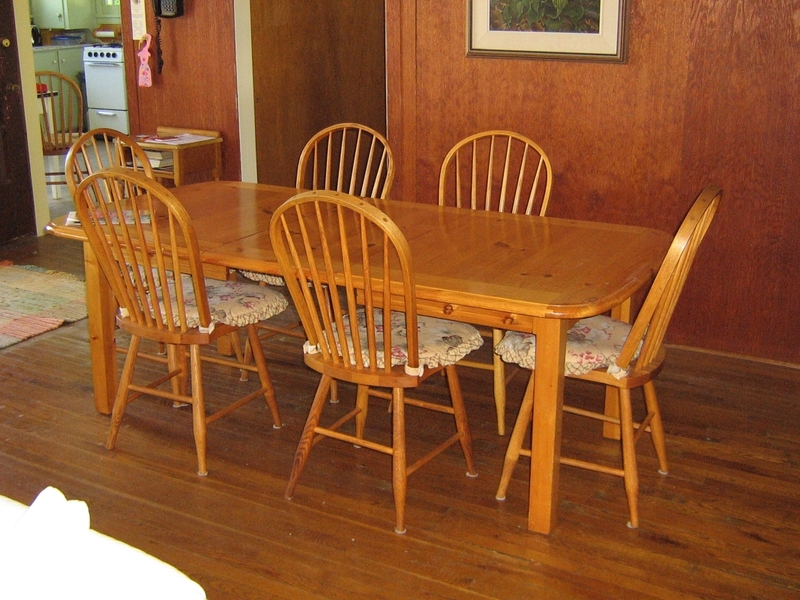 At the end of the living area is a large dining table that will hold the entire family. 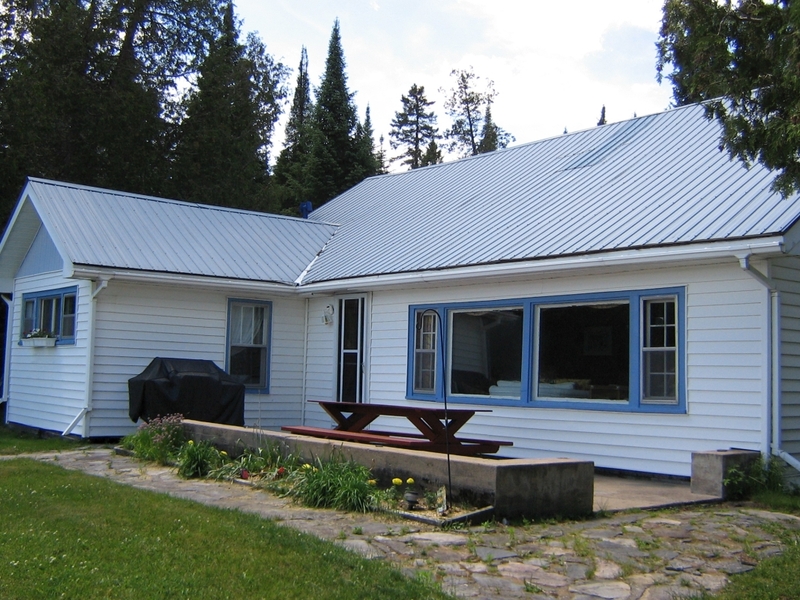 A patio area facing the lake has a barbeque and large picnic table for dining al fresco. 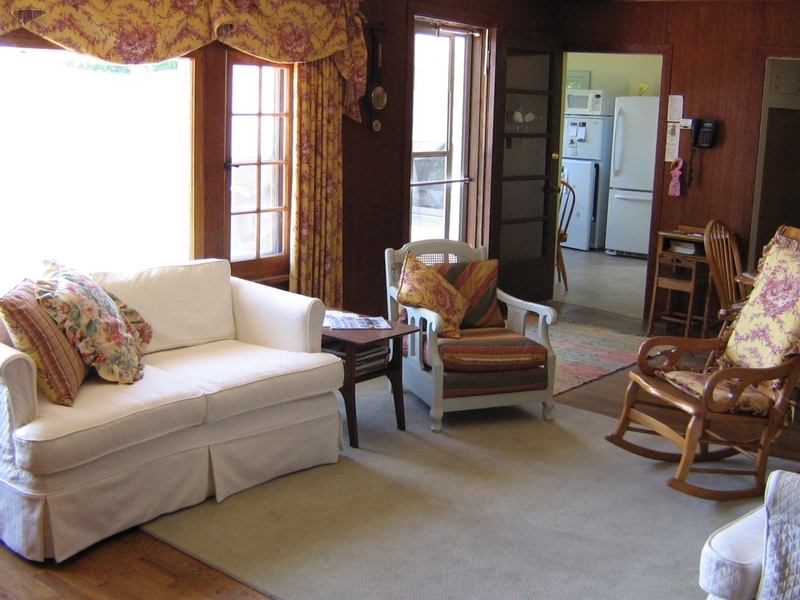 The living area of the cottage is spacious and comfortable. 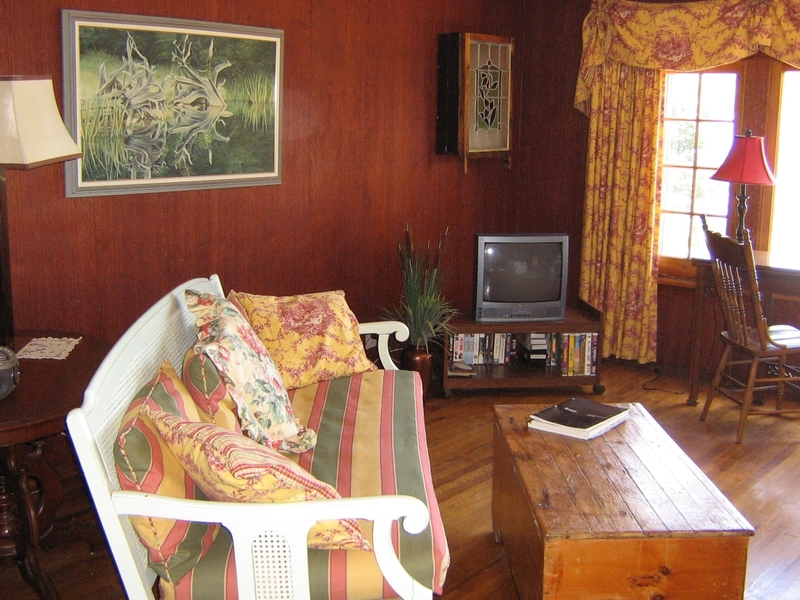 Relax with a good book, enjoy the lake view, play one of the board games provided, or watch a DVD. 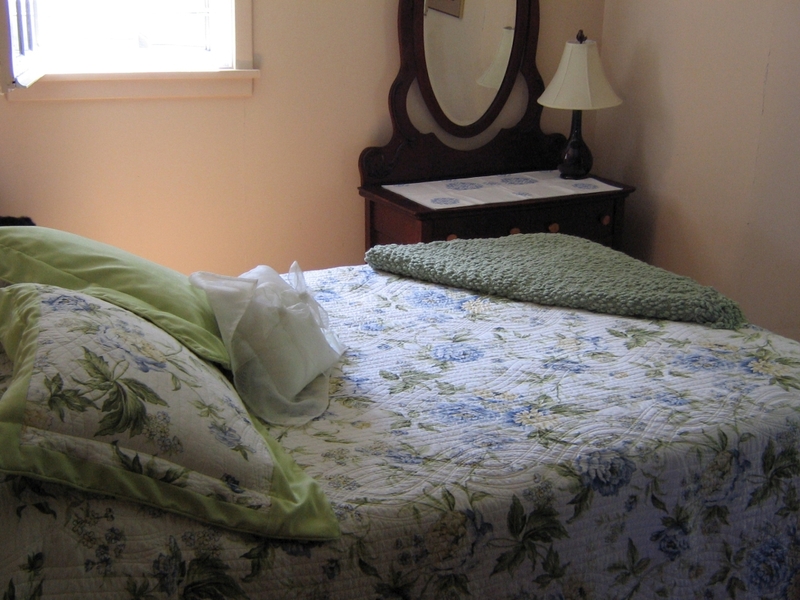 Three lovingly decorated bedrooms run off the living area. 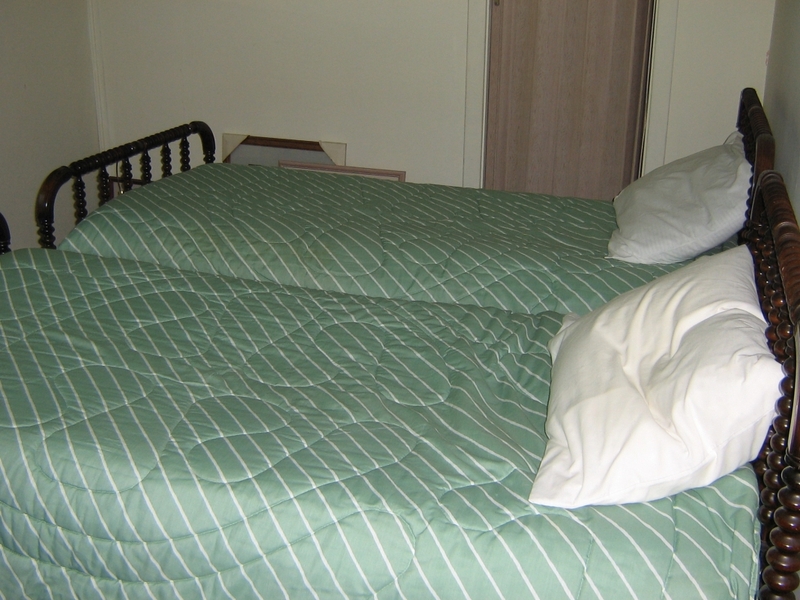 One contains a queen bed, the second and third bedrooms have a double bed. 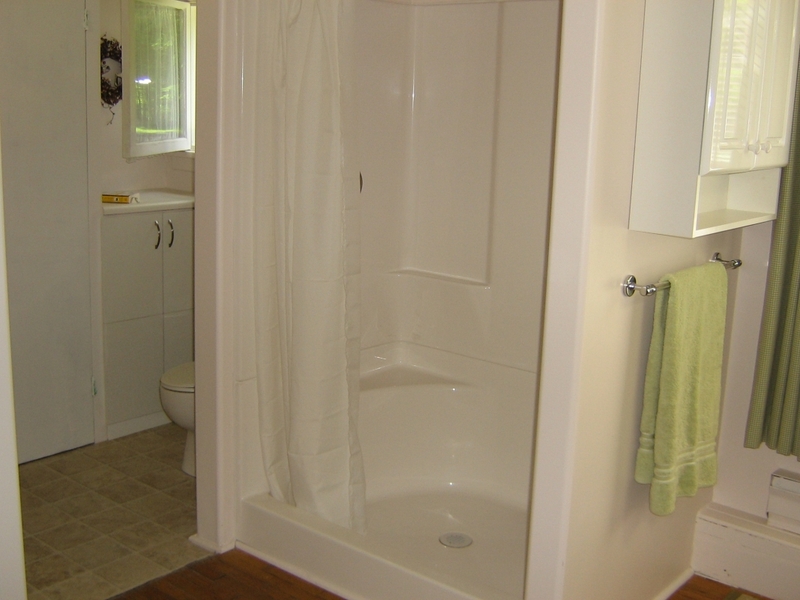 A newly- renovated, three-piece bathroom with shower is on this level. A spiral staircase leads from the living area up to the second level, where there is a second sitting area with television and DVD player. There is also a bedroom with two single beds up here. This level will appeal to the teenagers in the group, but is not recommended for toddlers, as the spiral staircase is steep and does not have railings. Families with small children should be careful to block access to this staircase. 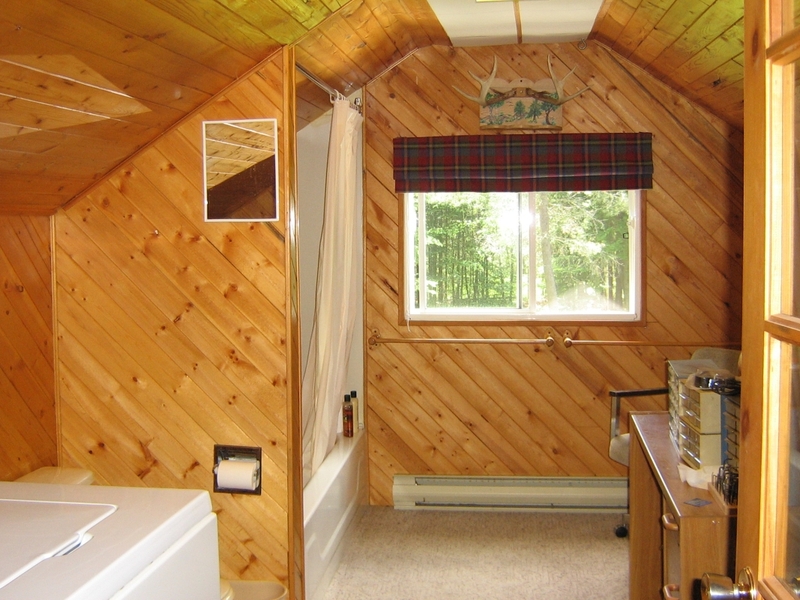 There is a second, four-piece bathroom on the second level, along with a washer and dryer. 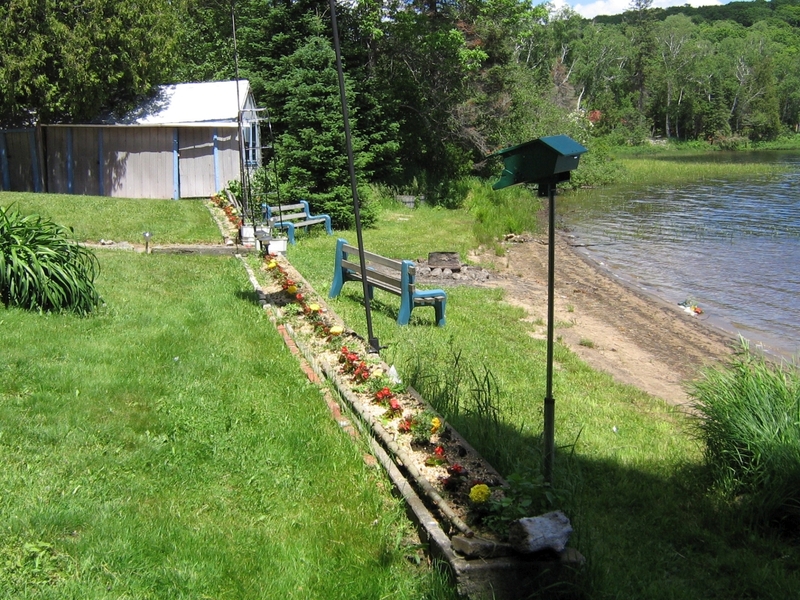 A level yard leads to the waterfront where there is a sandy beach, shallow sandy entrance to the lake and a fire pit. Later in the summer there are some weeds, but the dock extends out from shore to the clearer water. Crown land beside the cottage adds to the privacy and the chances of spotting wildlife. Take the canoe or aluminum boat out to explore the lake, and try your hand at fishing for pickerel, among other fish. 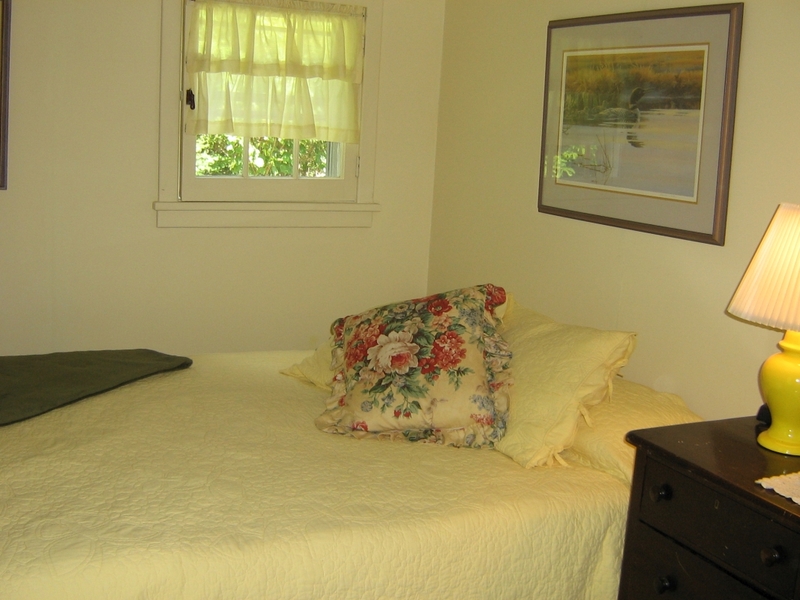 The cottage is located about fifteen minutes from the village of Katrine, and only thirty minutes from the town of Huntsville. 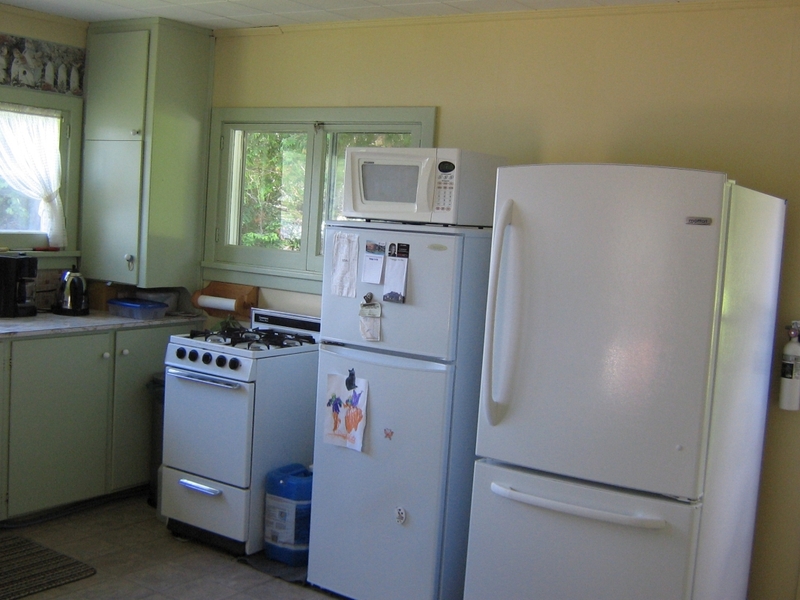 Huntsville has grocery stores, restaurants, live theatre, a Pioneer Village, and a hospital, and is close to Arrowhead Provincial Park and Algonquin Provincial Park. $1,395 per week during off-season. * Administration fee may be applicable.